The Audio feature is a wonderful way to enrich your network. You can create and share music files, audio lessons, and podcasts. 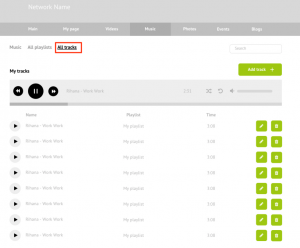 You can also create playlists and organize your content on the Ning Network just the way you want. This feature can become the center of attraction in your community, and can help make your network truly unique. The Audio feature for the Ning 3.0 platform is a successor of the similar feature on the Ning 2.0. It took the best of its predecessor, so it can offer users the improved user-friendly functionality that makes working with the feature easier and more effective. 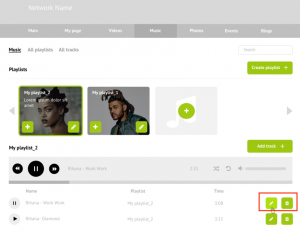 Now, network creators can not only add tracks, but also create and edit playlists. 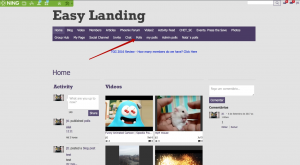 We have also changed the design of the page and made it more eye pleasing. You can easily set up our Audio feature on your network admin panel. 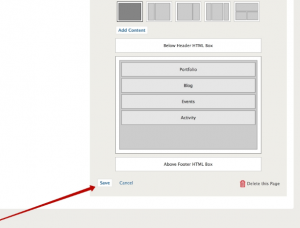 Simply add a new page and choose Music in the pop-down list of the page type. 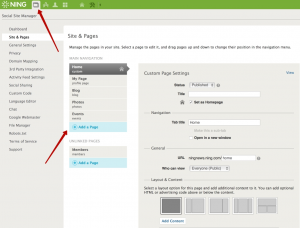 You can also choose who can edit and see this page. Click Save to save all the changes. Now, you can find the Music page on your network Menu panel. All Tracks section displays all the added tracks. 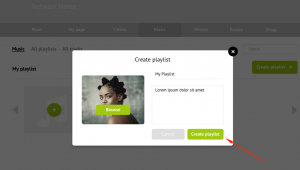 You can create a new playlist in the Music or All Playlists sections. To do this, click the Create playlist button. In the pop-up window, fill the title and description of the playlist. You can also upload a cover image. The image should be .jpg or .png file not more than 20 Mb. To save all the changes, click Create Playlist button. 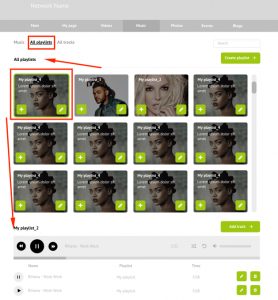 You will see your new playlist in the Music and All Playlists sections. How to add a track? 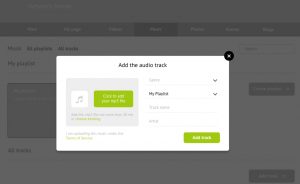 You can upload a track as a single audio file or add it to any of your playlists. To upload a track, simply click Add Track button in the Music or All Tracks sections. If you want to add the track to any of your playlists, you can choose it in the pop-down list. You can also write additional information about the track (genre, artist, title). After that, you will see your newly added files in the All Tracks section. 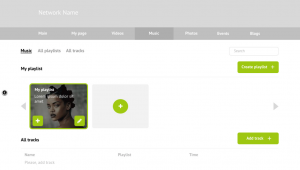 You can also add a track to a playlist from the All Playlists section. 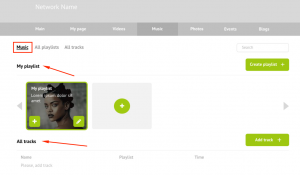 Simply open the playlist, click the Add Track button and upload a track from your computer or mobile phone. You can edit and delete all the uploaded tracks and created Playlists. To do this, click the corresponding icons to the left from the tracks. 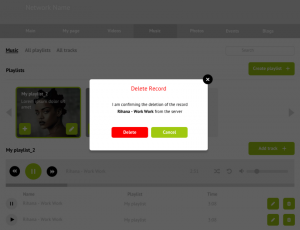 To avoid deleting tracks by mistake, the additional pop-up window will ask you to confirm your decision. If you want to delete a track from your playlist but leave it on your network, do it in the All Playlists section. To delete a track completely, do it in the All tracks section.